If you want to gain likes and follows on social media then you need to be producing interesting and unique images. Sharing of fun or thought provoking images is the way to engage with your social media community and quickly grow your audience. So how do you create great images for social media that stand out from the crowd? In this article we will look at what makes a good social media image and how you can edit your images to give them an edge over your competitors. We will also discuss using Canva, and other tools, that are available to make the process of producing impressive social media images quick, easy and fun. Brilliant and inspiring images will help establish your identity on social media and promote your business. 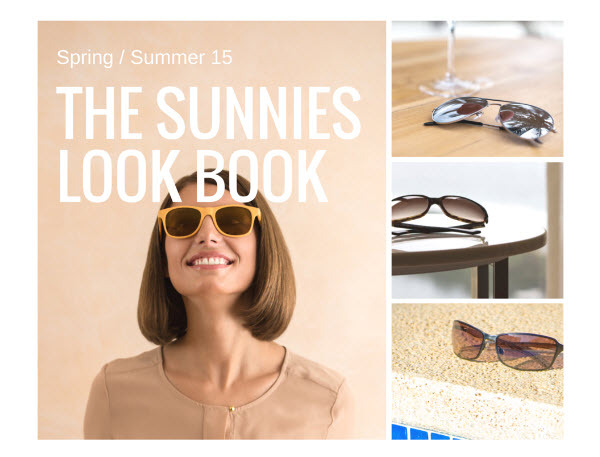 Images need to be planned out, and should all reflect a strong, recognizable style to help people connect with your brand. Always think about what your target audience will react to. Should you display products, show your work, post photos of customers or team members in action, add quotes to connect with readers, or use infographics to inform? Images need to be interesting and relevant to your audience and your site. This will encourage people to respond to images with a comment, like or share. Consider as well, how to make your images original. Think about the use of humor, creativity, beauty, adventure, or other actions and emotions. Creating picture collages, adding text overlay or annotations are also different ways to portray a message through an image, and help connect to your audience. Pictures you post should always look professional, so it is important that you use the necessary tools to create high-quality images. 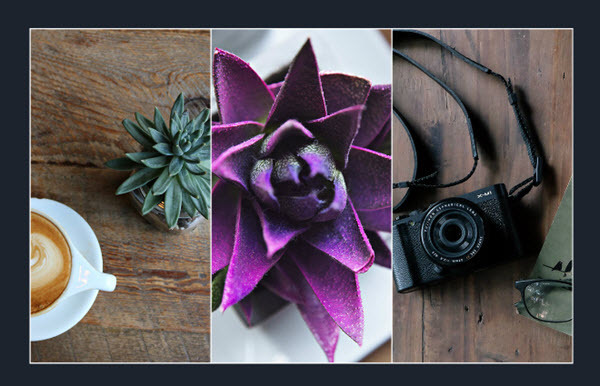 Canva is a photo editing tool that can help you create great images for social media. 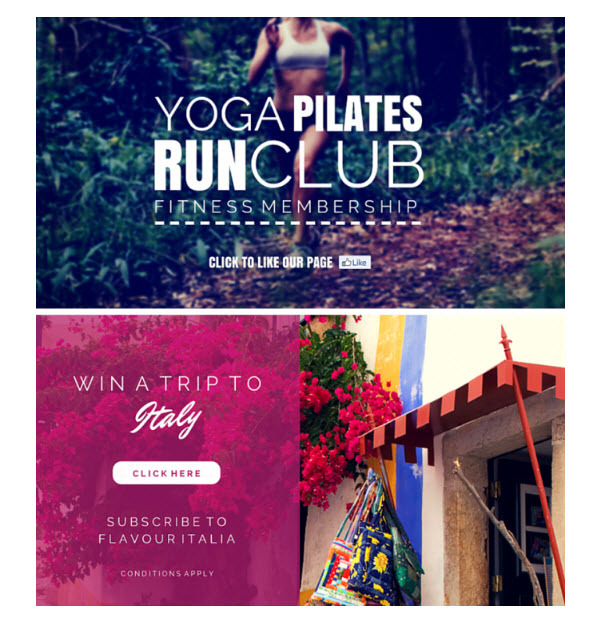 Easy to use, Canva is targeted at those with minimum design experience, or those who just want to save time. Canva gives you access to 100+ free social media templates, from profile pictures, and cover and header images, to everyday graphic posts. Combined with its drag and drop interface, you can produce a high spec image for any of the major social media channels in a matter of minutes. Although you can upload your own images, you can also choose from over 1+ million of their free and premium stock images. These include photographs, graphics, and illustrations, ensuring you will be able to find the right images for your social media campaign. Canva also has a variety of features to enable you to create beautiful images. You can customize images by adding stunning filters and text, changing the colors and background, and lots more. This will ensure your end result is an attractive and unique image, ready to be posted to social media. If you the message you are trying to portray isn’t immediately obvious from your image, then you should add a text overlay. This will help add context to your image and engage with your audience. The key is not to add too much text, but a short humorous caption or an inspirational quote will often encourage interaction, and increase the number of comments on your image. 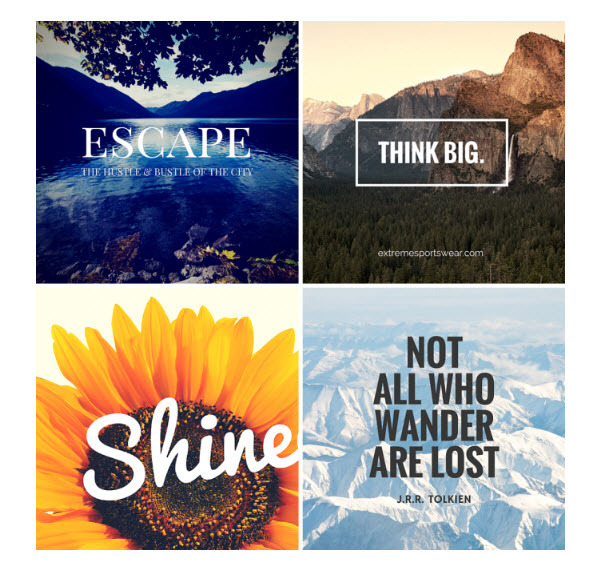 Canva has numerous text tools to help you add well placed and designed words to your images. Choose from a variety of text fonts and expert typography to give your text a professional and stylish feel. Then change the color, size, position, and many other qualities, to ensure your message is seen and understood. A well thought out message added to an image is an effective way to increase shares and follows on social media, so don’t miss this trick. Displaying a montage of photos in a collage is another way to create great images for social media. Tell a story through a selection of well-chosen images combined into one, promote a range of products, or highlight your portfolio by mixing your best work together. A stand out college will help grab your viewers attention and promote your brand on social media. 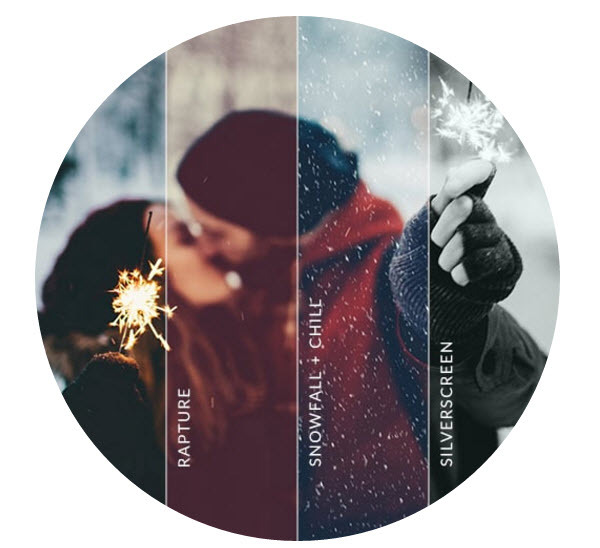 Canva provides a free Collage Maker, that enables you to produce a striking photo collage in under five minutes. Choose from hundreds of professionally designed layouts, upload your own photos or choose from Canva’s stock images, then drag and drop them into place. Again you can change the filters, backgrounds and colors, as well as add text to give your collage relevance. This will really help your collages make an impact on social media. Infographics are a popular way to share information with your audience. They are a fun, visual way to present facts, and promote your brand, and are something different from your bog standard photograph. However, many people are put off producing infographics, believing that you need to be a graphic designer to create one. 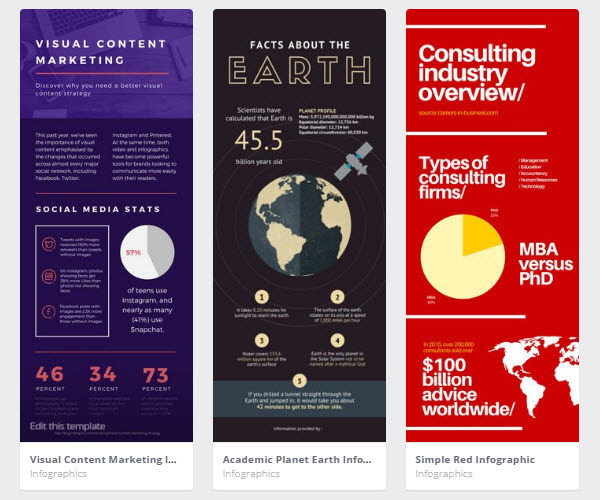 Canva has a free infographic creator, which enables even non-designers to post eye-catching infographics to their social media pages. You can choose from an impressive selection of sophisticated infographic templates, then customize with hundred of design elements. Canva’s bright and modern designs mean your finished infographic will be extremely shareable on social media. A great option if you are looking to create crowd-pleasing images. Every social platform demands images of different shapes and sizes and, if you are posting on more than one channel, it can be difficult to keep up with what should go where. 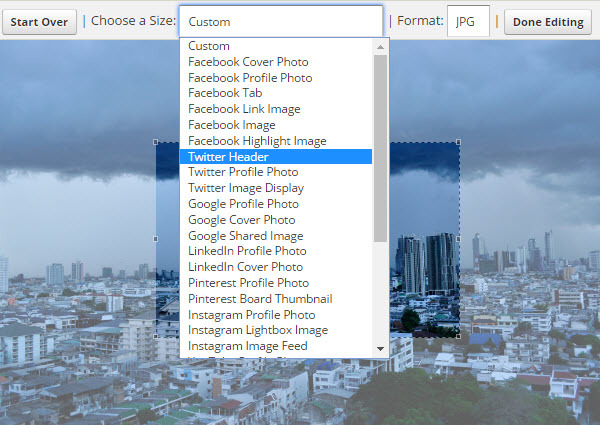 Social Image Resizer makes it quick and easy to crop and resize your images for web use. Choose the social media site you are going to use the image on and this tool will take care of the rest. 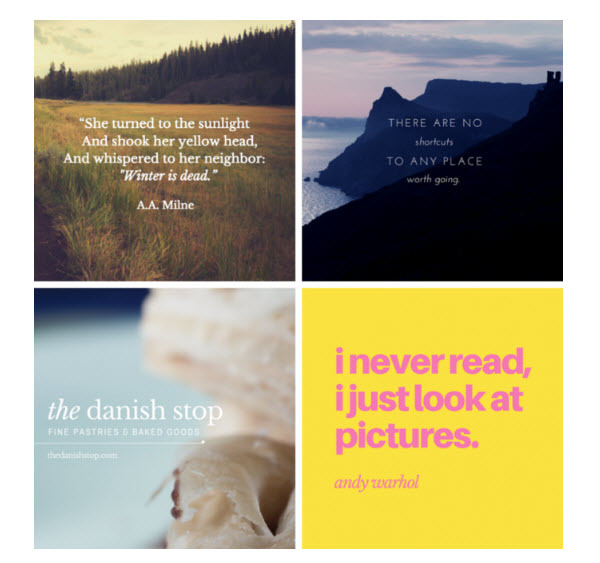 A great alternative to Canva is PicMonkey. 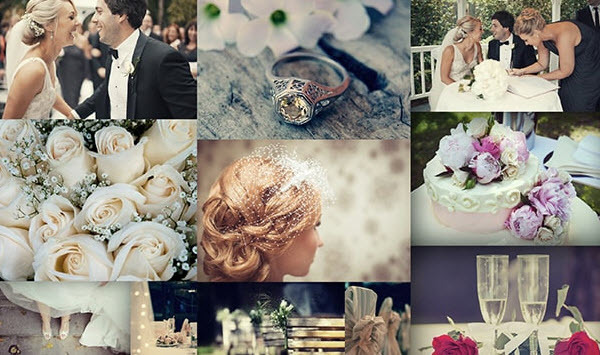 A premium service, PicMonkey is the full package, offering photo editing, a collage maker, and graphic design tools. Add filters, effects, textures, backgrounds, frames, and lots more, to help you create show-stopping images for your social media pages. BeFunky has a great collage tool that is well used by many. 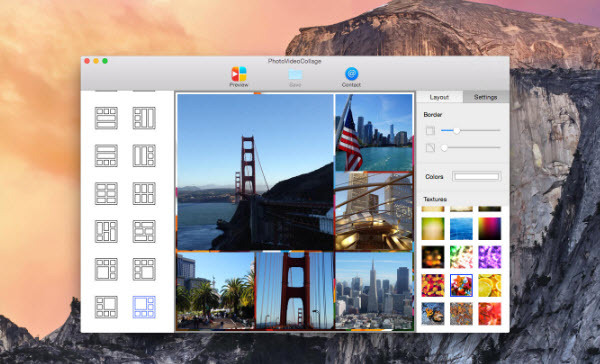 Extremely easy to use, breathtaking collages can be automatically produced by this collage maker. Or if you prefer to rely on your own design skills, you can choose from a variety of premade layouts and place your images by hand. Custom made Facebook and Pinterest templates are also available, helping you produce collages that will fit visually with these social media platforms. The Video Collage Maker App makes it possible for you to create a video collage to share on social media. Use a combination of photos and videos, and then mix and add soundtracks, to produce a truly original collage. With a simple drag and drop interface and multiple layouts to choose from, this easy to use tool will help you post a collage in little to no time. If you are looking to create great images for social media then you should give Canva a try. The extensive options that it provides, both free and premium, ensure that you can produce a range of stylish and eye-catching images, that will attract and entertain your audience. By planning out your images, and creating interesting and relevant content, you should soon see an increase in your social shares, comments, likes and follows.